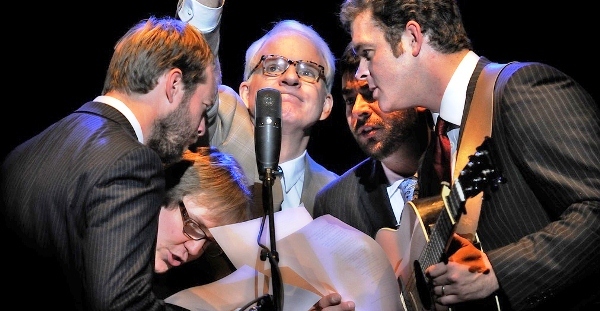 Steve Martin and the Steep Canyon Rangers, Russell Moore & IIIrd Tyme Out and the Gibson Brothers are among the first round of performers and presenters announced for the 23rd annual International Bluegrass Awards. Sponsored by the International Bluegrass Music Association, the Sept. 27 event at Nashville’s Ryman Auditorium will be hosted by Del McCoury and Laurie Lewis. The entire lineup will be announced in the coming weeks. The awards show is a highlight of the IBMA’s World of Bluegrass Week set for Sept. 24-30 in Nashville. Activities include the IBMA Business Conference and Bluegrass Fan Fest. Over the past 10-15 years I have watched the desecration of country music via controlled radio ownership, but during this time internet was beginning to gain momentum, and those record label execs never seen the tidal wave of what was about to hit them. The tsunami of a new wave of being able to listen to their favorite music, downloading music for one’s music library at a cost, was rolling over the country music industry and there was no one who could stop it. Finally the music genre’s went to our government to find a way to get royalties paid for record companies, writers, publishers, and the artist. It seems like they have reached a happy medium, but the issue could have been avoided way in advance if record companies would have looked into the crystal ball that was sitting right in front of them. Back then I wondered if it was going to be worth the time I was spending online to do my business, but as each month and year passed by, the internet was moving at warp speed to becoming the way of the future. You can now send music worldwide as an MP3 in all kinds of formats. Those who have do not have space on their computer to download music to play on their radio shows now have Drop Box, Box, and all kinds of easy formats to allow you the opportunity to be a part of the new electronic age. Who were the losers in this flood of the new age of electronics? First it was those at the record companies who thought they knew everything there was to know about how to produce records, market the records, and most of all how they could put more money in their pockets at the expense of the artists who thought the record labels knew what they doing. Not so funny now, because the evolution of electronics is a part of our everyday life, and who are the ones suffering, and rightfully so-those who financially almost broke the music industry. We still do have some good honest people in our business, but it is like you have to search to find them, because all of the new young artists coming into this business are wary of our industry, and they do their homework before they become involved with any of the rift-raft that slithers around in the industry, not only in country music, they are in every genre of music, loaded with the sharks who bite anyone who has a buck that they can get their hands on. But there are still radio stations both AM and Indie Radio, that will give an indie artist a live interview, play his music, and give him a chance to know that there are still great DJ’s and radio stations in our country. The days of being able to call Bill Mack at WBAP in Ft. Worth, TX, at any time during his all night show, are almost gone. He would never turn an artist down to talk to them, play their record, and make them feel that they were just as important as the artist with a #1 song. The greatest problem that Bill had was not being able to answer every call that came in, and I know because it might take me a couple nights to get through to him, but we I did, it was worth every minute of the wait. 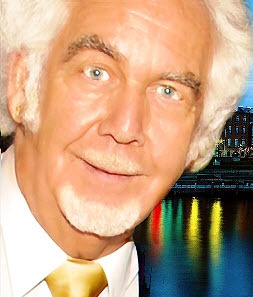 The nice thing about Bill Mack is that he is still going strong, and hopefully when he comes back on the air, he will be the same Bill Mack that covered the airwaves with an open mic to all artists. Then there were the big guns of late night radio, Ralph Emery, yes, Bill Mack included, Mike Hoyer, Billy Coe, Charlie Douglas, Big John Trimble (still playing “country” records in VA), Tom Cat Reeder who passed away just recently. There is also a friend of mine, Ed Dailey out in Oregon who is celebrating his 16th anniversary at the same station in Oregon on radio station KORD, who is available to all indie artists as long as their product is radio friendly. I can remember Tom Cat Reeder was always there for all of us who had a new record (45 RPM) when we would send our record by postal mail, and as soon as he received a copy of our song, he played it for the listeners. And now we have Tim Michaels in PA, Tom Wardle in MD, Bill Cody, Charlie Mattos, Joe Limardi, and Marcia Campbell of WSM/AM who play the real country music, and I cannot name all of the DJ’s across our country, and worldwide who are keeping true country music alive, but my thanks to all of you. There are so many DJ’s who have been gone from us for some time, who deserve to be recognized for what they have meant to the rise of country music through all of these years, and there are still many great DJ’s who do it the right way by giving new artists not on major record labels, an opportunity to be heard on radio. Internet radio has forced large scale changes in broadcasting so that if the major country stations will not give indie artists a change to show their talent, indie radio stations have time and invite these artists to bring their music to them and they will play it. Yes, they will review it and play it, but make no mistake about the rules-your music needs to have a great performance by the artist, and great production from the studio musicians who are bound by their talents to make sure that they give the best quality and performance that each song deserves. Indie radio now competes with giant corporate radio station owners who have bought up most of the major stations in our country, and our government has allowed this to happen. There is no place in new country radio for a talented indie artist. The reporting stations as we call them are looking out for themselves and what their bosses demand of them, and the hell with the new artist on an unknown label, although the artist and the song might be better then what they are currently playing. At first it was the artists who were losing, but now with the internet so strong, ITunes, artist’s websites, Facebook, Twitter, and social media, it is time for the indie artists to be heard, and the hell with radio stations kept afloat by the big record labels who are keeping them from folding up. The record labels better thank their lucky stars for Taylor Swift, Miranda Lambert, Blake Shelton, rock n rollers like Jason Aldean, and a short list of who gets played and who doesn’t. Where can you hear Alabama, Ray Price, Jean Shepard, Oak Ridge Boys, on FM Radio. The playlist used to be the Top 100 on Billboard, and now it is Top 40-I think. The reporting station charts are as manipulated as voters are to elect a government official. And then there is FM radio for country music. Are you kidding me? Those stations have been so negative to new artists and share the blame for the way that country music has been going downhill today. There is no doubt when the big radio DJ’s read this editorial, they will immediately say that I am crazy, don’t know what I am talking about, it isn’t true, and whatever else they can think of to get rid of this kind of thinking because of what their listeners might think after they read this article. There should be room in country music for a great artist and his music even if he is not on a major label. He should be able to compete alongside those artists who are enjoying success or what they call success. Indie record labels are sprouting up all over the country, and they have money to spend on their artists of choice, and they have been taught how to spend it. Why do you think Toby Keith, Alan Jackson, and other successful artists are now continuing their success by making music on “their own labels.” We have let money rule our industry, and money is now ruining our industry. Some of the records coming out of Nashville are as hard rock as it gets, but the young guns seem to enjoy believing they are now icons-with just one #1 record, and is it a legitimate record or just a hype to #1. Indie Radio does not answer to corporate giants, program directors, or music directors. They answer to their listeners. They play a record that they feel their listeners will like and they make their own selections by what they receive from new indie artists, veteran artists, legendary artists, and now even the major record labels are depending on indie radio to get them out of the deep hole they have dug. You can actually send an MP3 or other format to a radio station within seconds, and most of the time the indie DJ’s will thank you for sending it, and they will give you their input as to whether it is playable on their radio show and if it will be added to their playlist. Reporting radio stations won’t give a new indie artists the time of day, but an indie artist with his website, and all the other ways to get their music out to the fans, will sell more records than most of the artists who are trying to break the Top 40 charts, or have to wait to see if they get their new single on the call list from radio promoters to the major reporting stations. 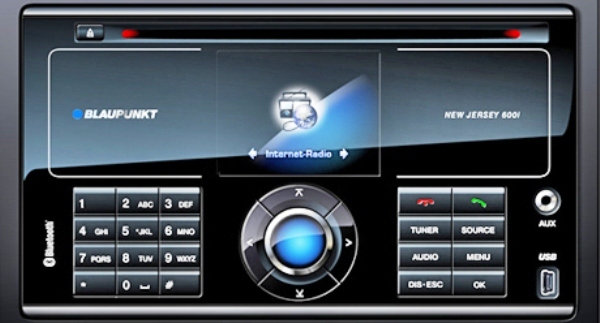 Internet radio stations are what have made the new music industry shiver with fright at the thought of them not being able to compete with the internet. The record labels made their own beds, and now it is time for them to sleep in those beds, and I guarantee you that the label heads, the so-called producers are having major nightmares. Remember that in all of my articles on radio and other subjects, I always say that we have some great people in our industry who care and love country music. Some great label Presidents, great record producers, super musicians, great record promoters, and great media, who have always been in favor of listening to a new artist, and it he doesn’t fit what the label is looking for, they will give that artist and his team advice on how to make changes that will benefit the artist. We have a lot of honest music people in Nashville who care about the dilemma that country music is going through, and if it does not change soon, it will no doubt get worse before it gets any better. Not sure if it could get any worse. Remember that there are great minds in country music, who not only know the success of Garth, Alan, Martina, Carrie, Blake, etc. They just do not work with the older artists, they know young new talent when it comes along and these great minds help them get their direction before they get caught up with the wrong person. To all of the air personalities who play good country music records, I say to you that you have made the music industry sit up and take notice that possibly they are doing everything the wrong way. Please do not stop reviewing any new record by a new artist, a legendary artist, or veteran artist, and play it if it warrants air time. You are making a difference in the life of an artist who might be the next Garth Brooks or Carrie Underwood, and without you giving them a chance that they deserve, they might never know if their dreams can come true. And incidentally Internet Radio is here to stay. We need it for the sake of keeping country music alive and for making sure that everyone who has talent can have an opportunity to be heard. 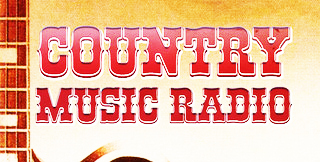 We owe all indie radio stations programming country music, a great debt of gratitude. I am always open for comments, pro and con. Feel free to email me your comments. If you think I am wrong, say so, if you think I am right, I would also like to know that. I try to keep my negative thoughts in check when I write, so I hope you will do the same. Thank you for reading the above article.